Welcome to the homepage of the South Carolina Library Association (SCLA). 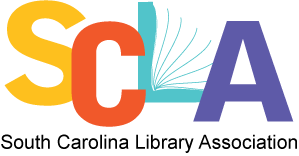 Begun in 1915, The South Carolina Library Association was established on October 27 of that year when fourteen librarians and library supporters met at the University of South Carolina Library and voted unanimously to form the new group. Contact us to learn more and find out how you can get involved.